We don’t do too much trolling on our Broome reef fishing charters, but when we do we usually target the Spanish Mackerel. 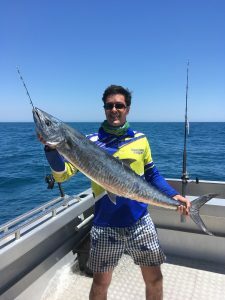 Spanish Mackerel are a fantastic fish that everyone loves to catch and when they are on the bite it’s not uncommon for everyone to catch one. 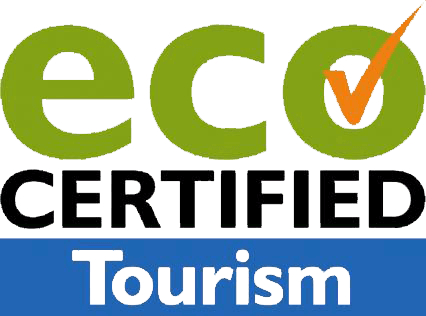 Our personal best on our Broome fishing charter is 20 Spanish Mackerel in the boat in 20 mins, truly a memorable day. It’s a great spectacle when the fish launch into the air to attack a surface lure and an awesome adrenaline rush when a Mack smashes a lure and you almost have the rod ripped from your hands. 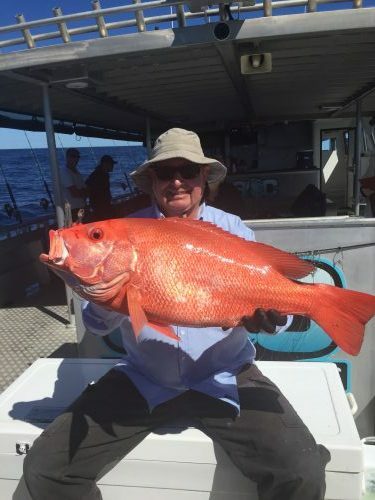 We have even had the odd of angler on our Broome fishing charters lose their footing any very nearly end up in the water. The bigger fish put up a great fight, often doing a couple of solid runs before coming into the charter boat. One of the most spectacular sights you will see on our fishing charter in Broome is when a mackerel leaps into the air trying to evade a hungry shark. The sharks are never too far away when fishing our mackerel patches around Broome and they are always out to get an easy meal. 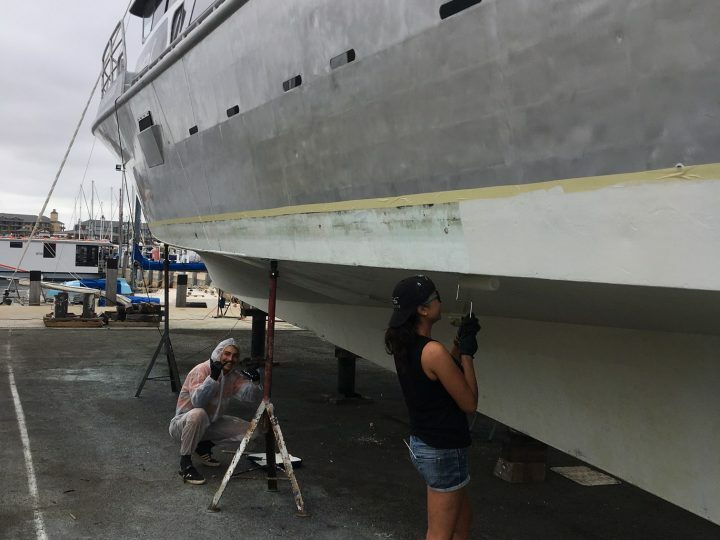 We have spent many years refining our fishing technique and we never lose many to the sharks. 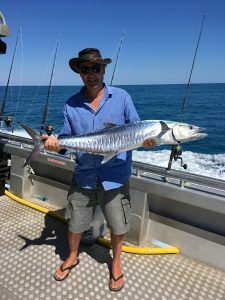 Nearly all Mackerel caught on our Broome fishing charters are caught on lure. Our favourite lures have change a few times over the years and the go to lure at the moment is the Williamson Speed Pro Deep. Great lure, most swim out of the box at our idle speed of 8 knots. They come in a great range of colours that all work on their day although the red heads on the gold colours seem to get hit first. The best part is you can pick them up for around $20. For years we used the Yo-zuri Hydro Magnum and caught so many Mackerel on these Lure I am surprised we didn’t put a serious dent in the Broome Mackerel population. We went off the Yo-zuri’s when the price pushed past $40, it was devastating when a shark smashed a Mackerel and swam off with a $40 lure in its mouth. Another good way to catch Spanish Mackerel is to float a live bait out when bottom fishing. Often the action of catching a few bottom fish will attract the attention of any mackerel in the area, if you have a well presented live bait out there the macks cannot resist. 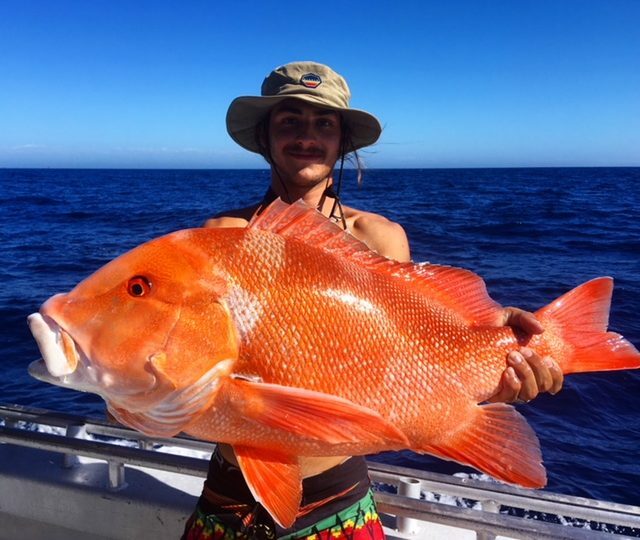 We don’t usually use this technique when fishing on our Broome reef fishing charters as we are on the move a lot from spot to spot. We also find having a live bait our attracts the sharks. Often the live bait is taken by a shark and you end up spending your time fighting a shark instead of catching fish. Mackerel are another good table fish if treated properly. 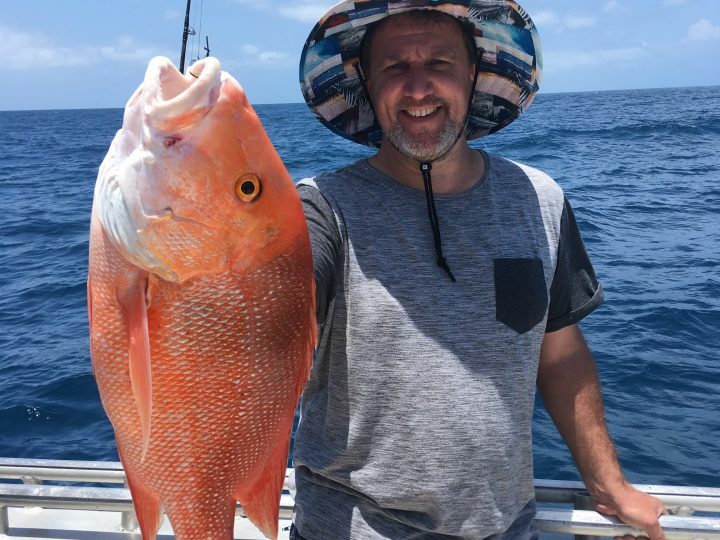 On our Broome fishing charter we bleed them as soon as they come on the boat, running saltwater through their gills to help get the blood from the flesh. We usually fillet them and get the fillets on ice as soon as possible. When at home the skin and any bloodlines are removed from the flesh and then it can be cut up into small pieces ready to cook or bagged and frozen. Mackerel is a very versatile fish to cook. It’s great in curries, marinated and cooked on the bbq, some people like the cutlets and its pretty good fresh and pan fried too. Crumbed mackerel is by far my favourite way to eat this fish. Lightly dust in coconut flour, dip in egg wash (egg and a bit of water beaten together) then dipped in panko crumbs. Shallow fry in coconut oil until crisp on the outside. Big squeeze of fresh lemon and enjoy! 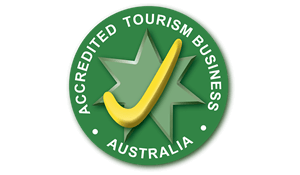 See you on our Broome fishing charter next time you want to catch a Spanish Mackerel.